Developer is one of a few active DJ/Producers that emerged from the Los Angeles techno scene in the early 1990's. dedicated techno distribution company on the west coast " Entity Music Distribution " which distributed top labels such as Axis Records, Reload Belgium, Plus 8, as well as a wealth techno label's from Detroit, Chicago and around the world.Over the last 2 decades Developer has played alongside many of the elite techno talents from around the globe as well as taking part in laying a foundation in the LA techno culture by producing events and exposing various first time international talents throughout the mid 1990's to 2008. Developer gained much of his acclaim and extensive performance history from his strong marathon sets and quick programming skills as well as the ability of playing 50 tracks per hour on 3 turntables with effect processor and sampler. Central American born Los Angeles based Silent Servant has performed worldwide in clubs from LA, Berlin to Osaka. A chance meeting with Karl O'Conner in 1999 would establish a friendship that would open the door to the Sandwell District label in 2006. Silent Servant's sound is a reinterpretation of early '80s post-punk electronics, paired with the deep, metallic sounds of Basic Channel and Downwards. A veteran DJ from the age of 16, He Along with technical wizards Kit Clayton and Sutekh, helped shed light on the small but impactful minimal techno scene on the west coast during the lates 90's and early 2000's. Since being introduced to electronic music back in the early 90's, Audio Injection has been hooked. At the early age of 15 he started Djing and playing out at local underground events and raves around the Southern California area. You would find him spinning various styles from house, acid, & techno. After years of Djing he then decided to learn to produce his own music, which landed him various releases under his original artist name Audio Injection. After a couple of years when Developer was starting his new label Modularz David had been working on some new material to release under a different name and ended up debuting the project with his first Ep on Modularz (Modularz 02 - Contrasts) followed by the launch of his own Label Truncate records. Fanon Flowers was born and raised in Kalamazoo, Michigan, exactly halfway between Detroit and Chicago, the birthplaces of techno and house music. A product of his environment, he grew up listening to Italian Disco, Chicago Acid House and Detroit Techno. At the age of 17, Fanon purchased his first synthesizer and drum machine and started buying dance 12" records. He soon developed a style which combined the funky, syncopated rhythms of techno with the soul of house music. He began to garner attention in 1994 when he appeared as Mode Selector on the "Elements of and Experiments with Sound" compilation on Detroit's seminal Planet E label. Subsequent EPs for such labels as Reference, Konsequent, Sheep, E-Com, and Holtzplatten established Flowers' reputation as a prominent American techno producer. In 1996, Fanon Flowers appeared under his Mode Selector alias on the "Detroit: Beyond the Third Wave" Compilation. Released on Astralwerks, Flowers appeared alongside Detroit techno stalwarts such as Claude Young, Ectomorph, Sean Deason, and Anthony "Shake" Shakir. That same year, Flowers started his own techno imprint, Mechanisms Industries (distributed by Triple Vision Holland), to showcase his unique and funky approach to techno. With over 40 records produced and released on various labels, Fanon Flowers embarked on several European Tours and One-off events playing in Slovakia, Spain, Belgium, Germany and England. Fanon Flowers also launched a new label in 2009 called Studio Sound (distributed by Crosstalk International Chicago). The labelFanon Flowers was born and raised in Kalamazoo, Michigan, exactly halfway between Detroit and Chicago, the birthplaces of techno and house music. A product of his environment, he grew up listening to Italian Disco, Chicago House and Detroit Techno. At the age of 17, Fanon purchased his first synthesizer and drum machine and started buying dance 12" records. Mentored by hometown DJ/Producers Tony Jackson and Jay Denham, he soon developed a style which combined the funky, syncopated rhythms of techno with the soul of house music. Fanon has also composed tracks with fellow Kalamazoo Techno artists such as Chance McDermott, Damon Peterson (aka Baby Pop) and Donnell Knox (a.k.a. D. Knox). Santiago Salazar aka DJ S2 started deejaying in the early '90s inspired by mix tapes his brother was bringing back from the Gay underground scene in Los Angeles. His style has always been a mixture of house and techno. After moving to Detroit, Santiago began his music training with Mike Banks, label founder of Underground Resistance. 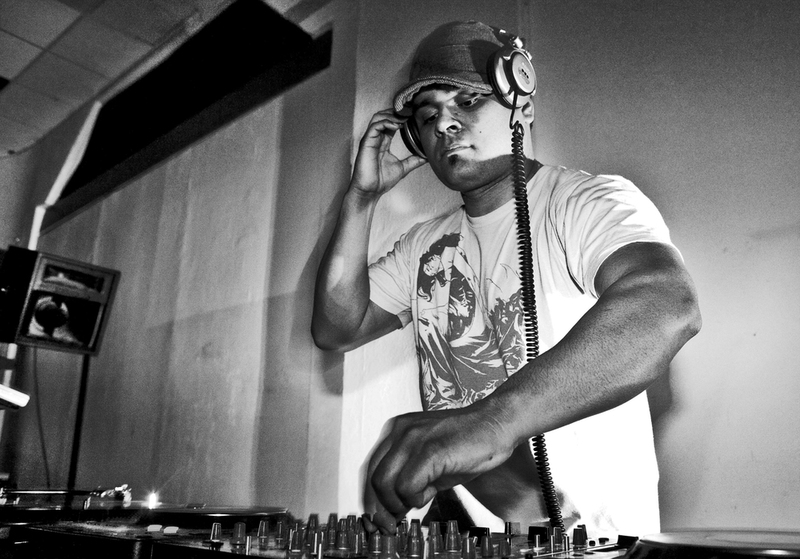 He mixed and edited several UR releases and remixed the mighty "Return of the Dragons" and DJ Rolando's "Aguila".He released his own tracks under monikers like Aztech Sol and Seldom Seen and became a core member of the Los Hermanos and Galaxy 2 Galaxy live bands, using his DJ skills to control the flow and intensity of the live performances. Alongside long time friend Esteban Adame, Santiago recently formed Ican (short for mexican) and released a bunch of highly acclaimed 12"s both on Carl Craigs Planet E imprint as well as ICAN productions. Adriana Lopez has been busy developing her focused style behind the decks and releasing her material for Developer's Modularz label and her own label, Grey Report, that she runs from Barcelona where she now resides. Her skills as a producer have also been picked up by renowned techno label Semantica where she will be releasing some material in the early months of 2014. Adriana's dj sets flow effortlessly through techno's landscape focusing their power on rhythm and energy never forgetting hints of melodies and a fair share of dynamics. All in all, they are a fine example of her uncompromising approach to the art of djing and vowed fans include some of techno's finest artists like Jonas Kopp, Svreca and Oscar Mulero. ProjectWith more than 16 years experience producing and playing the purest form of techno around Spain and Europe, Eduardo De La Calle is still one of the best kept secret in electronic music, Eduardo has worked with labels such as Chaval Records, Restoration, Lathrum rec, We Trust... he is now preparing a new live show with special visuals and tracks created especially for the show, as well as releasing new material on his label Analog Solutions Rec with limited edition of 200 copies already available in the shops. Eduardo has also collaborated with labels such as Zenit (Italy), Beemysheep (Madrid), CMYKmusik (Madrid), Analityc Trail rec (Italy), Salo-Kompakt (Germany), Noise Music (Brazil) sharing his love and passion for music. Currently Eduardo has established his own special record project Analog Solutions pressing records in limited amounts and not printed labels. These releases have gained much attention from vinyl enthusiasts and international DJs. the sound is Detroit influenced chord driven tracks based around the art of sampling using mainly analog gear. Shifted’s identity remains a mystery, but crucially, he does not come from the small coterie that has dominated UK techno over the past twenty years. Like the signature image he uses, a grey, shadowy creature creeping through a snowy forest, his infiltration of the sound has been stealthy and understated. In many ways, his lack of connection with techno, his automatic outsider status, has allowed him to effect an entrance into a hitherto new terrain. His worldwide sets in clubs like TRESOR, BERGHAIN, RÖHSTOFLAGGER, FABRIK and so on, have been crystallizing his talent as DJ. Thanks to fusions combining the deepest, puristic and raw techno and strong influences of house and minimal, his sets with hypnotic rhythm and full of special care in planning and progression of these, have made him one of the most talented DJ's in recent years. Psyk's singularity illustrates a maturity which is very present in his music: from KRAFT ́s unanimously entraining, feverish techno music to more dark and deep titles of LOWDOWN, CRYPT, DRUMCODE, MODULARZ and MOTE-EVOLVER Releases. Oscar Mulero’s DJ career has been as prolific and long lasting as the development of dance music. As a key figure in this evolution and is considered Spain's biggest export in techno, Oscar has always absorbed new trends and kept his finger on the pulse of electronic dance music, from the end of the 80’s right up to the present day. It is impossible to understand the phenomenon of this DJ in Spain without taking into account his tireless work behind the decks for more than a decade. Exium, an electronic music duo of producers and performing artists, consists of Valentín Corujo and Héctor Sandoval. Their musical careers have flowed together from their origins as dj’s back in 1994, playing as resident dj’s in small clubs in Asturias –Spain- to 1999 when they decided to start producing together, forming Exium. Petter B or Petter Börgesson is a Gothenburg based DJ and producer. He started out behind the decks back in 96’. In 2012 he relaunched his solo career after being a part of the famous techno duo "Hertz" for five years. Petter B (Petter Börgesson) is a Gothenburg based DJ and producer. He started out behind the decks back in 1996. In 2012 he re-launched his solo career after having been a part of the famous techno duo "Hertz" for five years. Adam Beyer immediately signed Petter’s solo material to his well-known imprint Drumcode. His first appearance was on the compilation “Swedish Silver vol.2” together with the most prolific artists within the Swedish techno scene. Adam has heavily supported Petter’s tracks in his recent podcasts and gigs and more material will be released on Drumcode during the year. Over the years Petter has gained worldwide respect as a DJ and producer. Example of people that has supported, charted and played his work are Carl Cox, Adam Beyer, Mauro Picotto, Marco Bailey, Sasha Carassi, Umek, Secret Cinema, Alan Fitzpatrick, Laurent Garnier, Dr. Motte, Mark Knight, Eddie Halliwell, Tom Hades, Danny Tenaglia, Slam, Technasia, Truncate, Gary Beck, Alan Fitzpatrick, Ben Sims, DVS1 and Kevin Saunderson. Up until today Petter has released lots of tracks and remixes under different names and on different labels around Europe. For example Drumcode (SWE), Defected (UK), Underwater Recordings (UK), Sway (SWE), HzTrax (SWE), Abyss (SWE), Atom (SWE), 1605 (SLO) Patterns (NE) and Modularz (USA) to name a few. His success in the industry has led to frequent gigs at different events and clubs throughout and beyond the borders of Europe. Good things take time. A good story can’t be told in passing; accordingly Markus Suckut can be seen as one of the most vocal opponents of short sets, and of a club culture where the next DJ jostles impatiently in the booth waiting impatiently for the start of their own set. To play in his own style, leading the crowd and casting a spell over it, delighting listeners with records selections that go beyond the remit of any kind of DJ charts, this is his world. And in the company of someone who loves to listen to elaborate stories, who detects subtlety while simultaneously appreciating current trends, the listener is in very good hands with both his productions and his sets.When you tell a story you explain something which has engaged you, something which has moved you. Telling good stories is certainly not easy, particularly if you don’t use words. Just like a good DJ set, storytelling is all about creating an arc, putting listeners under a spell and giving the feeling that this story doesn’t have to come to an end. Telling a story with these attributes without using words? How it’s possible is demonstrated by DJ and producer Markus Suckut. 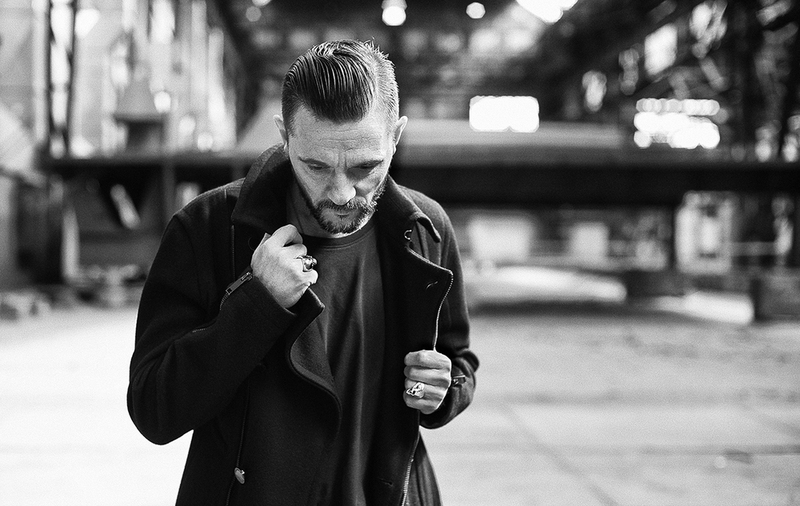 Jonas is very well depicted by the constant hypnotic flavour in his tracks, the techno arrangements, deep basslines that really fill the surrounding space, the use of effects like reverb ,delays and LFO’s and his faithful attachment to his Detroit and Chicago roots as creative influences. Born in Oviedo (Asturias) in 1981, Reeko is a dj who has rapidly attained the recognition other artists have taken a long time to gain. In his case it’s not been a matter of chance or coincidence, but the result of his innate and incredible capacity to be prolific, alongside his obsession for perfection. Ukrainian techno pioneer. A follower of the Detroit style. Also interested in black and white alternative photo processes and hand printing. Designer.